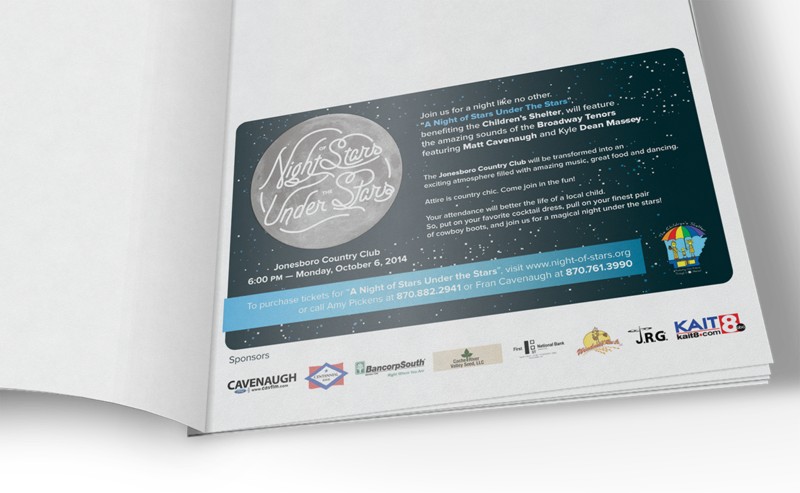 Night of Stars Under the Stars is an annual event that benefits the Children’s Shelter. Faultline developed promotional material for the event. We designed programs and brochures, an ad in Occasions magazine, and produced radio and television commercials. The “country chic” event is hosted at the Jonesboro Country Club and benefits the Children’s Shelter of Northeast Arkansas. 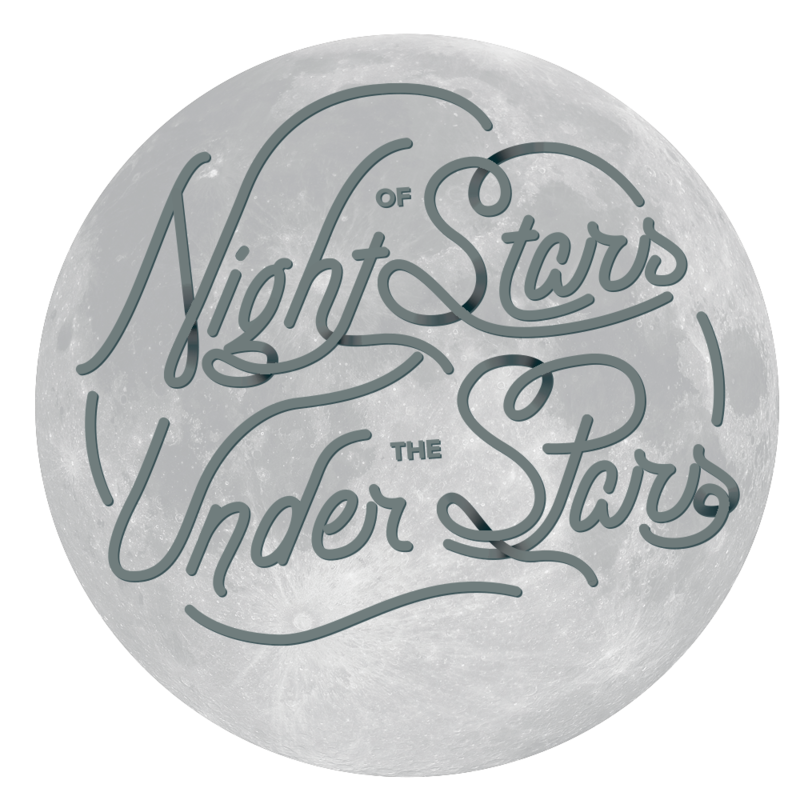 The theme of the ad was changed to resemble the name of the event and a whimsical type treatment was put in place to pull the theme together. The logo was hand-drawn and digitized for a more human design.